Seemingly “Free” game apps may prove to cost some families a colossal amount of cash. According to the BBC, some U.S. parents are suing Apple claiming that iTunes is not doing enough to prevent kids from making in-app purchases while playing games. The issue centers around popular downloadable kids’ apps like Tiny Zoo and Dragonvale that are free to download, but require you to spend money on virtual in-game items to help you advance faster. 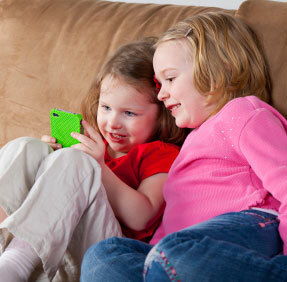 Many parents download, or allow their kids to download free games onto their smartphones and tablets without a thought. They’re free, right? But later when charges start appearing on credit or debit card statements, the addictive and deceptive nature of the “free” games comes to light. 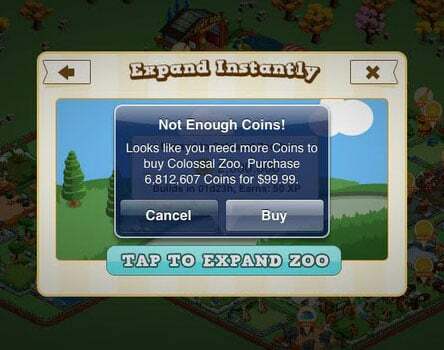 For example, in Tiny Zoo, if you want to breed a new animal, you can wait one day and seven hours - or spend $3.99 to instantly add the animal to your zoo collection. Which would your kid choose? To make matters worse, when the opportunity to make an in-app purchase pops up, it can be annoying to kids and they’ll tap or swipe anything to get the window off their screen and get back to the game of cute animals. While Apple may be in the spotlight, Android and Windows Phone devices are plagued with the issue as well. Not helping matters, Amazon just lifted its previous cap of $20 for in-app purchases. With one-click purchasing on Amazon, in-app purchases can quickly add up. Avoiding surprise charges doesn’t necessarily mean preventing your child from playing apps, you just need to restrict in-app purchases on your devices. The screen will no longer be greyed out. Search toward the bottom of the screen for In-App Purchases. This should be turned on by default. Check the box for “Use PIN for purchases"
If you want to use a PIN instead of your Amazon.com password for in-app purchase authorization, check the box for “Use PIN"
For Windows Phone, your child can burn through all the Microsoft Points you have loaded into your Live account, but they won’t be able to purchase more points without your Live account ID and password, as well as your credit card CVV Validation number. iTunes burglary by my son! HL, you just saved him from 1 year of punishment. He turned 10 a few weeks ago and tweenmania is getting worse daily! You can set up a PIN on Windows Phone 8 to block in app purchases either though the Wallet app or through the Store app settings. It sounds like you may have your Microsoft account linked to the Microsoft store on your son’s laptop. You can check by opening the Microsoft Store on his laptop and clicking on the profile icon. You should see the profile icon next to the search box on the upper right. If it’s your account, you can sign out and sign in with his Microsoft account. When you set up a family account, you can add money to his account for purchases as you see fit. Let me know if this helps!